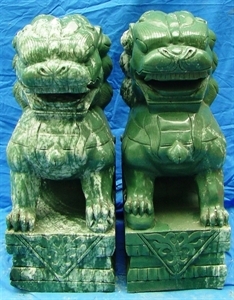 Size for each: Wide: 10", Deep: 12", High: 28"
This is a pair of Jade Foodogs, A male and female. 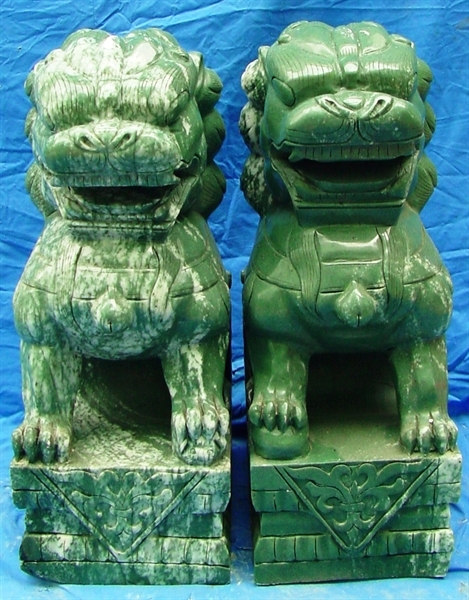 It is all hand carved from one solid piece of jade. It is in green color. The male is stepping on a ball and the female is stepping on a baby lion. It is an ideal sculpture placed in front of your house, believed to keep bad things away from you and the family.